The next 100 years start here. From every corner of the country, and every county in our state, natural wonders and historical monuments lie just beyond our doorsteps. And for its first 100 years, the National Park Service has been instrumental in identifying and protecting these precious natural and cultural resources. But if we expect the next generation to care for this rich legacy, they must first care about it. Every Kid in a Park is a White House youth initiative designed to make it possible for all 4th graders and their families to explore and appreciate our nation’s astounding beauty, rich history, and diverse culture by granting free access to 2,000 federally managed lands, waters, and historic sites. 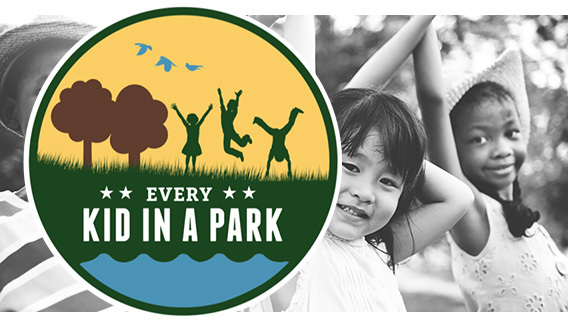 All kids in the 4th grade can get their own Every Kid in a Park pass at everykidinapark.gov. The pass provides free access to national parks, national forests, national wildlife refuges, and more, including all six of Missouri’s national parks. Combined with the Missouri National Parks Passport Challenge, the initiative offers a wonderful opportunity for families to experience the wonders of the national parks closest to home.